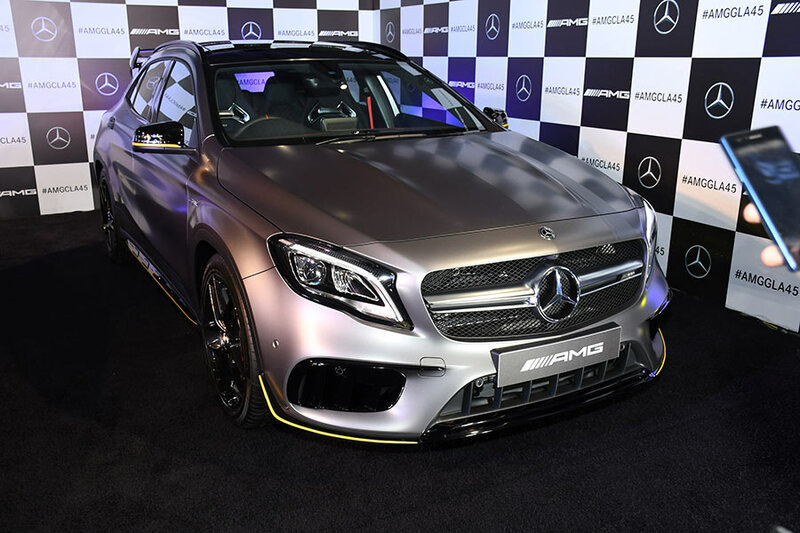 India’s leading luxury car manufacturer Mercedes-Benz today further cemented its strong presence in the performance segment, by launching two new AMGs, the Mercedes-AMG CLA 45 and the GLA 45 4MATIC. 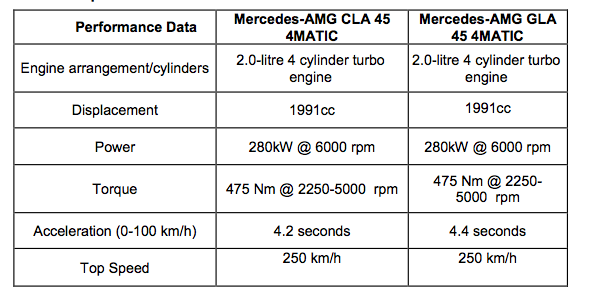 The 45 AMG boasts of the ‘most powerful four-cylinder series production engine in the world. With the introduction of these two new AMGs, Mercedes-Benz India is making a strong statement in the growing performance car segment. Both the vehicles offer a host of new features and embody dynamism, sportiness, exceptional driving performance and agility. 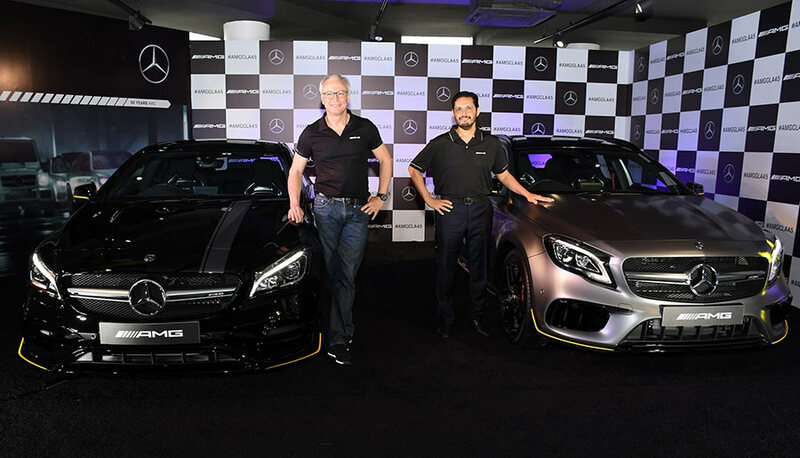 Continuing the global celebration of 50 years of AMG, the vehicles were launched by Roland Folger – Managing Director & CEO, Mercedes-Benz India. Performance car segment in India is fast evolving and hence product innovation becomes crucial to outpace the industry growth. Driving performance remains the key essence of our renowned sub brand Mercedes-AMG and we lead the performance segment in India by a wide margin. As a part of our global celebrations of 50 Years of AMG, we are glad to launch seven AMGs this year and end the year with the introduction of these two sensational young products from our diverse portfolio. These alluring and radical products appeal to those, who believe in ultimate driving performance, everyday practicality and unmatched luxury appointments. We are committed towards providing the best of our global AMG products to our Indian customers and continue leading in this segment. With our AMG 45 range, we provide our customers a product that embodies the motorsport DNA while adding the practicality of everyday use. Mercedes-AMG CLA 45 and GLA 45 4MATIC have been modified keeping in mind the changing Indian market sentiments and to suit the young generation’s requirements. 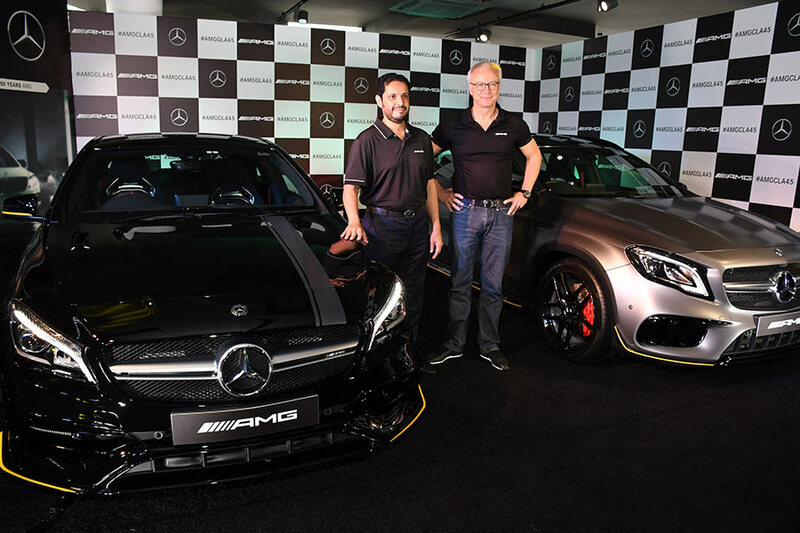 We are confident that these new exciting products would create a stronger fan following for AMG in India. 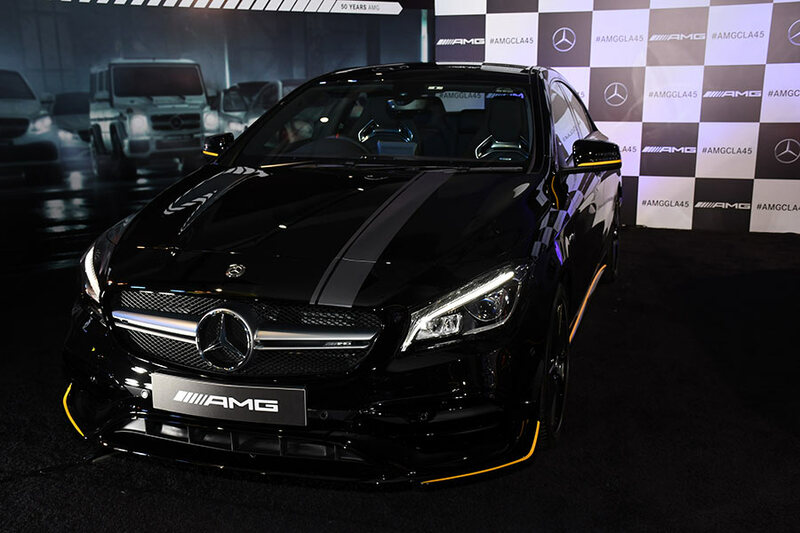 The Aero Edition also expressive design elements featuring accentuating yellow decals and AMG sports stripes in matt graphite grey combined with the AMG Night Package in select exterior paints creating a spectacular effect. Yellow highlights are along the side sill panels, diffusor and rear bumper, as well as the mirror housings. The Mercedes-AMG GLA 45 will have an option of the special paintwork finish: The “designo MAGNO”. designo paint finishes blend exclusiveness with a fascinating allure. Offering a wide spectrum of colours and applied with the utmost precision, designo paint finishes put the final touch to the vehicle. The designo magno paint finishes combine metallic paintwork with a silk matt finish. It is a paintwork with high-quality special-effect pigments that lend the vehicle an individual character.